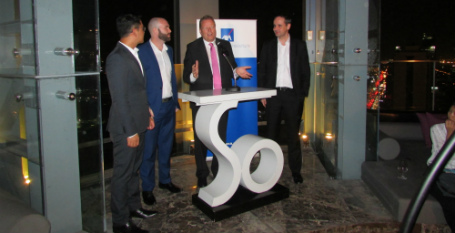 Recently formed Bangkok-based LGBT network OUT BKK launched its Business Network in the city earlier this month. The event at SO Sofitel welcomed a large group of LGBT employees and managers to discuss best practices for LGBT inclusion in the country’s businesses. “We wholeheartedly support this initiative, and we are proud to be one of the Founding Members of the OUT Business Network Bangkok,” he added. The organisers said more events will follow including a business conference later this year. off course, all Gays should not only know parties. Gay should know war directions and typical at moment and future. Gay also should have sensitive eyes and ability for research. all Gays should know who are our enemies and should recognize series of Guns, write it down and make list. You should know that many Gay organizations but still weak. Gays are spread in all countries. so, that business conference will cover all countries. Conference should also discuss about weakness of Gay society and how to empower Gays that is not written in existing previous books. Every gays should know and realize our enemies. I have traveled to some countries, talking with other gays that seem gays did not know our enemies and did not know where to walk and to kick.